The mood post-Tribal is the expected mix of triumphant and defeated, with the biggest rift coming between Chrissy and Ben. Ben hilariously does not care one bit about Chrissy’s hurt feelings. Good jury management, Ben! It’s loved ones week, which means lots of tears, hugs, and facile Probst commentary. Remember when he had a talk show? The challenge to spend time with your loved ones is 100% chance, which is completely bizarre. Don’t we want to see people dig deep to win? Or at least do something semi-interesting? The only interesting thing to come out of it is that Chrissy gets to completely snub Ben and his wife in what she admits is revenge for his earlier behavior. Ben decides to plant a fake idol to throw people off while he’s looking for the actual idol, but Lauren has his real number: he wants to hide an idol for Chrissy to find, so she can look stupid when she uses it at Tribal. Lauren thinks this is dumb and petty, which is one of the things that makes her kind of great. While Ben is worrying about his fake idol Lauren finds the real one, because of karma or something less imaginary. The idol requires her to pick up the second half of it at the immunity challenge, which is completely easy and therefore a completely unnecessary complication. Ashley wins immunity and decides she needs more “big moves” on her résumé, wanting to get rid of Ben. Ben gets paranoid it might be him, so in turn he goes to the other side and proposes getting out Lauren. In the middle? Chrissy, who hates Ben. On one hand, Chrissy is taking the game personally a little bit. On the other hand, Ben has been far more antagonistic than necessary. In short, they’re both terrible but need to work together to avoid total destruction. 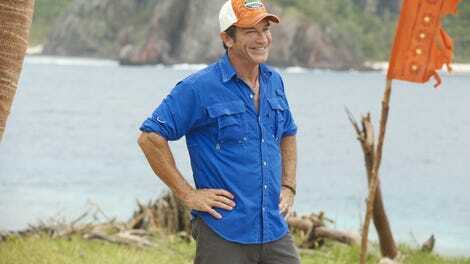 The wild card is Mike, whose only allegiance is to making it further in the game. So he blabs to the other side that Ben is looking to get rid of Lauren, causing Lauren to give Mike half her idol to prove her trustworthiness. What even is this terrible move? Whatever it is, it was a lot of fun to watch. Tribal quickly devolves into chaos after Mike throws the idol piece Lauren gave him in the fire. Whoops! Tribal basically turns into open strategy discussions of who everyone is going to vote for, Ben or Lauren. After the vote, Ben pulls out his real idol—the idol no one knew about but him—and plays it. All the votes except for his? Were for him. So Lauren goes home with one vote. Ben’s vote. That is some crazy Survivor stuff. To recap: Never give away your idols! You need them!